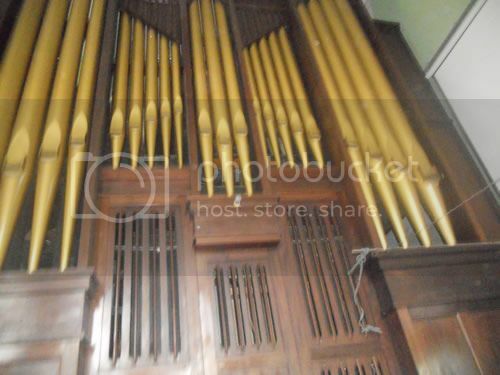 Hauptwerk Virtual Pipe Organ • View topic - NEED SOME HELP SAMPLING A 4 MANUAL OBERLINGER ORGAN. NEED SOME HELP SAMPLING A 4 MANUAL OBERLINGER ORGAN. 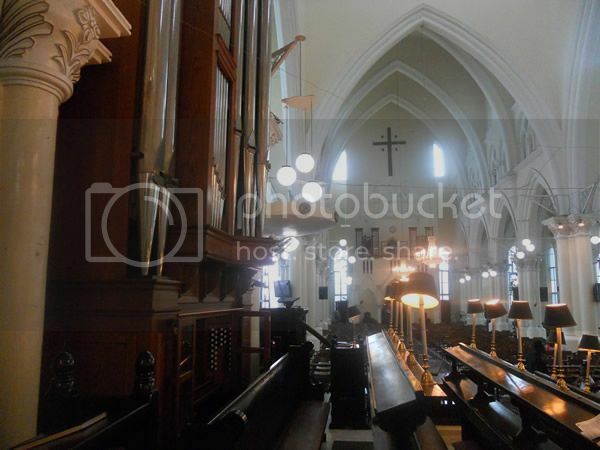 I just spoke to the provost of my cathedral and he has given me the go ahead to sample our new oberlinger organ. 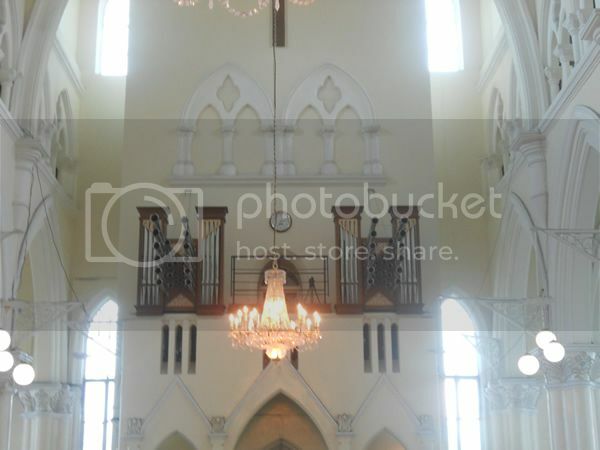 I should also state that oberlinger is official out of business and our organ was there last major installation before kicking the bucket. 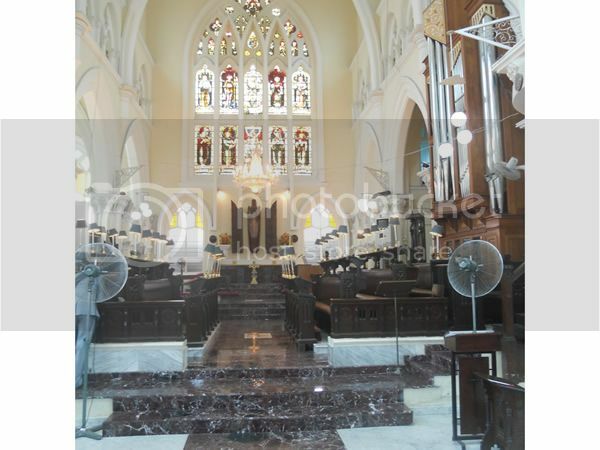 The name of my church is Christ church cathedral in Lagos Nigeria, the Cathedral has a 2.5 sec acoustical reverb and the organ sounds very majestic. I will like suggestions as to what type of microphones would be best for a recording like this and also what type of audio interface would do for this recording. I welcome people who will like to partner with me on the project but I am totally fine doing it myself, I just need some pointers towards doing the best possible recording. 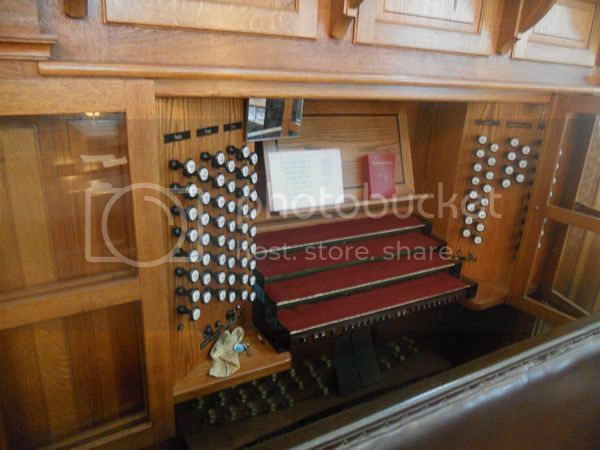 The Harrison and Harrison organ company from England is coming in next week to completely re-tune the organ and overhaul some of its mechanism. 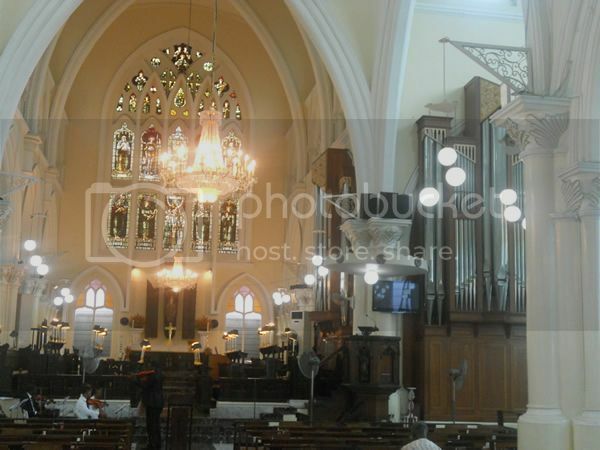 The Church will like me to sample the organ after the re-tuning work has been done. 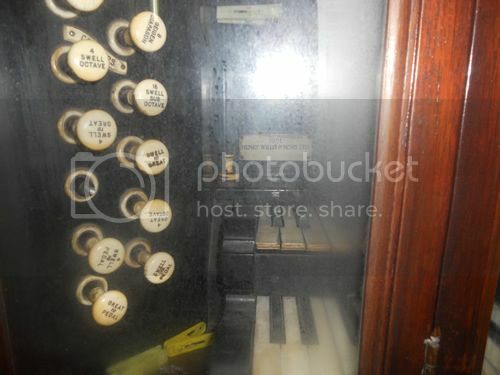 Re: NEED SOME HELP SAMPLING A 4 MANUAL OBERLINGER ORGAN. The type of microphones that you need are going to be determined to some extent by the type of sample set that you want to make. 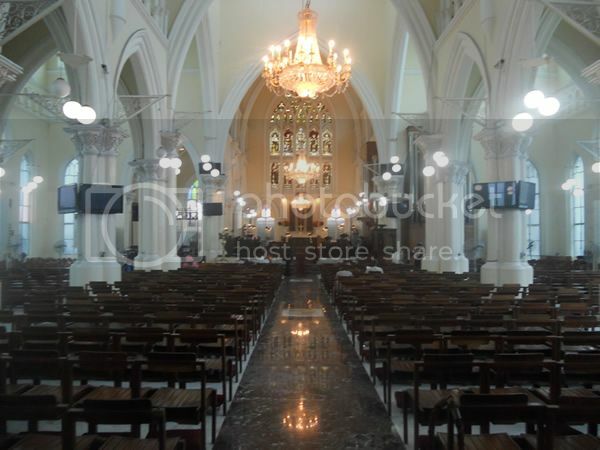 If you want to create a full 'Wet' sample set and capture the full reverb of the cathedral then you will need good quality omni-directional mics. If you're going to record a more 'dry' version and add reverb using convolution reverb filters then the more directional mic types are fine (the church may even have some good ones if they have a choir that gets amplified or recorded). 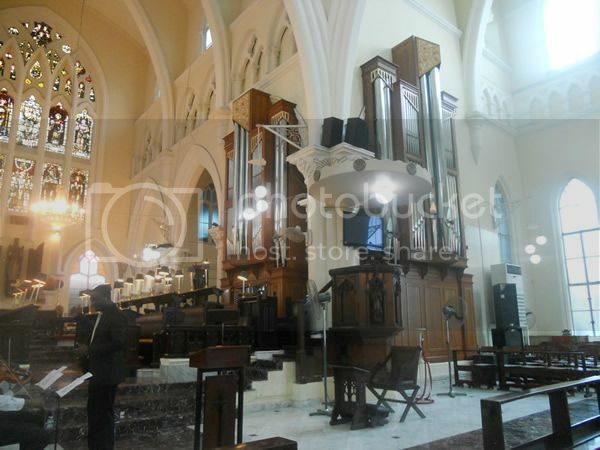 As there are some 32' octaves in the organ you will need a microphone that is able to record down to that low 16Hz. Most don't. You will need to do this recording in at least 24-bit and a sample rate of at least 96khz, so this needs to be taken into account when planning to hire/borrow/purchase equipment. You will need two microphones in order to record the stereo image, and you will need to learn about the various stereo microphone positions, and do some recording experiments within the church to see what you think will best match what you hear in there. Just some thoughts. If I have time I'll post more later in the week. Perhaps this answer to your post would be a kind of "REVERSE HELP". Hope you do not bother. My aim is not to discourage you but to invite you to take a second thought. 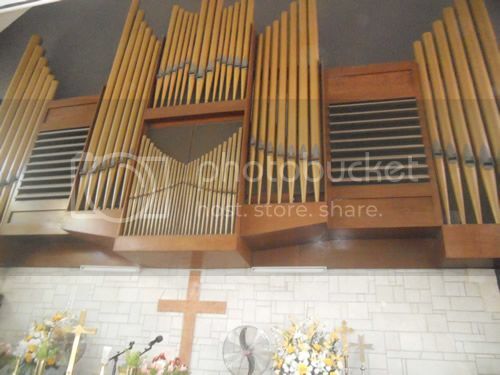 -Most actually organ samplers -if not all- have placed very high quality patterns given their experience, equipment, team, etc. So one-man enterprise should be a riskfull one. 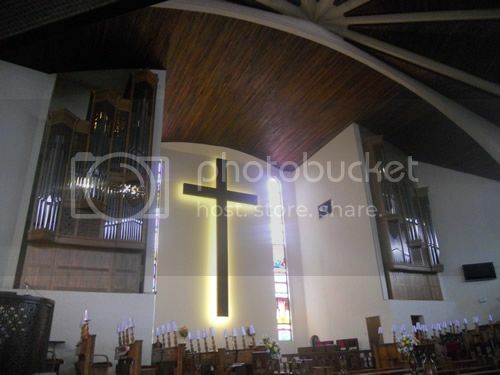 - Although any good pipe organ is by itself a work of art , I doubt about the importance of purpose (a), and there are still historical instruments waiting to be sampled (It comes to my mind organs in Lunneburg associated to Bach, for instance). -I do not foresee a success in (b). -So, if going ahead, you would be more motivated by (c). As you and everybody knows, this Forum is an open , sincere and very nice community, so for the sake of the discussion, I would like to know how wrong I am with my premisses and conclusions. 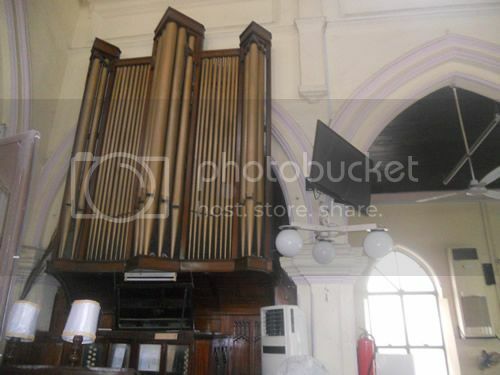 I was hoping to sample the organ dry and build a replica console which I can then try to resell to the church for use in case the pipe organ itself goes out of commission or something. 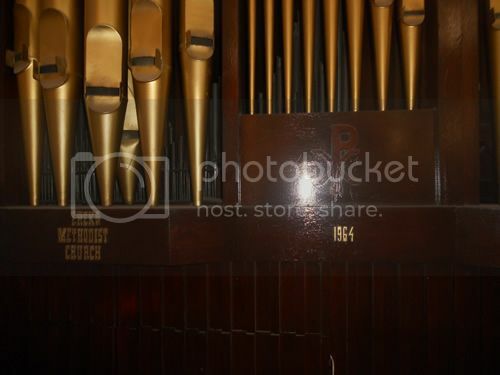 They had a very nice pipe organ there before installing this one and the history of that old organ is completely lost. This will also give me an opportunity for a side by side comparison of the hauptwerk system and the real organ. 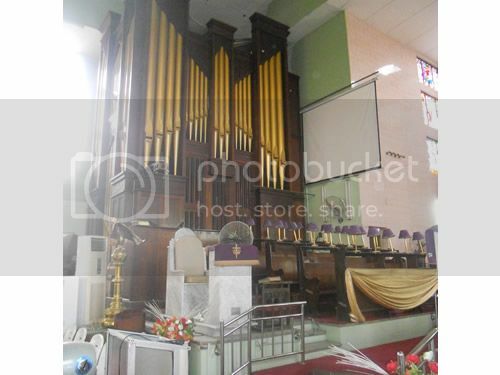 I know here in Nigeria since a lot of churches cannot afford to send for Harrison and Harrison personnel to come in to tune their instruments every year some would want to have a very solid digital replica on ground to use as a substitute of the real organ pending the time the church can afford to have the main organ fixed. I am hoping to push into that market. However if along the way I can sell the samplesets that will be great, but like you rightly pointed out maybe people are not so fond of Oberlinger or they will still be in business. Graham thanks also for responding to my post, I will appreciate a more in depth input when you have the time. Maybe we can also do some work together someday since you are in South Africa. (i) This cathedral may be fortunate enough to have the financial reserves to pay for the organ to be maintained in good condition and a sufficiently informed congregation to appreciate it for its inherent value and the value of the music that it supports, but it would still be prudent to put aside some money in reserve for ongoing maintenance and tuning. What better than to put the proceeds of sales of samples towards the tuning fund? 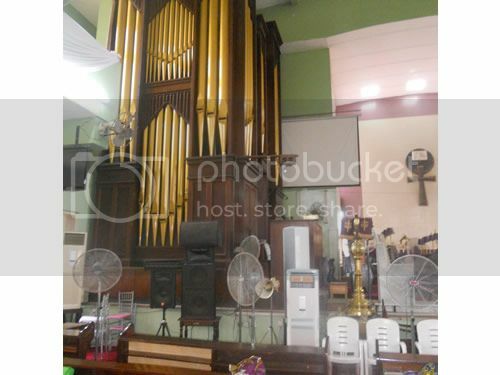 (ii) Many churches in Africa are frankly unsuited to having a pipe organ, partly because of the harsh problems besetting them (ranging from ongoing maintenance costs to termites eating the soundboards and wooden pipes). Simple to repair, mass produced modular component consoles such as are made by many Hauptwerk users would be much more suitable for a church that didn't have the capital and ongoing resources for a pipe organ, or that felt, if it doesn't sound brutal, that providing latrines and water pumps to people in nearby slums was more important than spending more money on the church building. 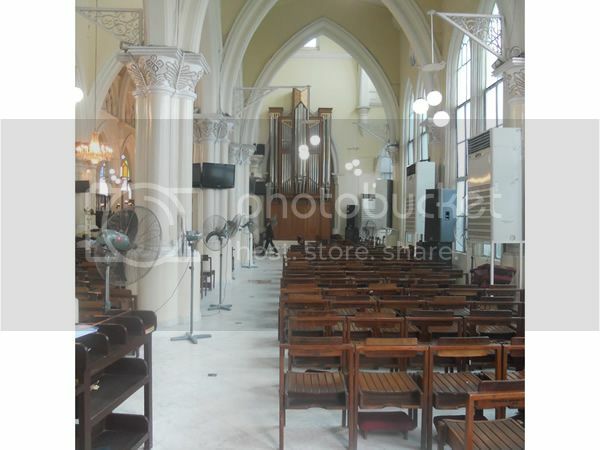 (iii) A good digital organ would also be more versatile for church expansion. 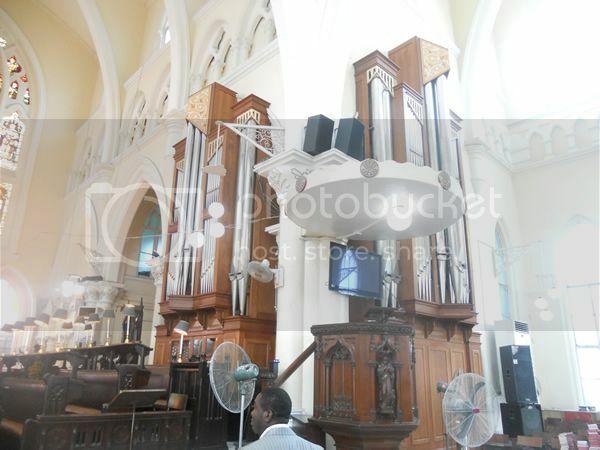 I know a cathedral in one African capital that has a small Victorian English organ in very poor condition. For Sunday services there are far more people worshipping in marquees outside than can be packed into the original small building. 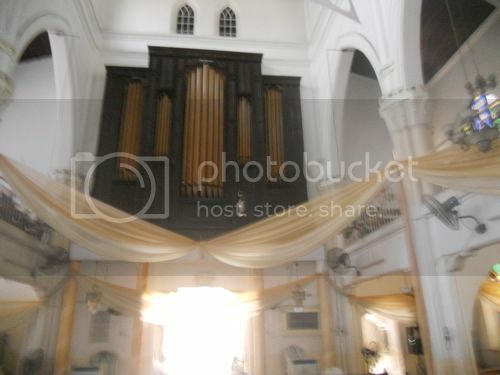 So the pipe organ never gets used - but a digital organ connected to the sound system in each of the tents would certainly be used. 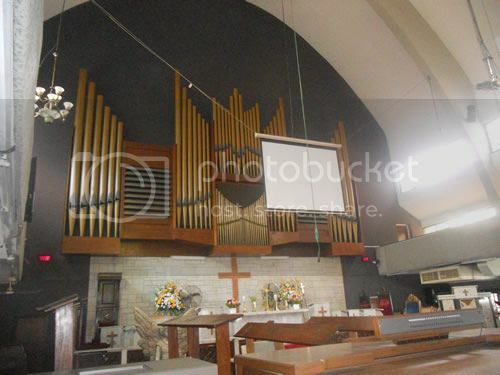 Whilst I am passionate about pipe organs and their music I have to be realistic too and having lived and worked in central Africa a number of years I am fairly persuaded that if there was a case for digital organs in churches (or churches and the many tents that surround them sometimes!) it has to be here. I have a practical question regarding the sampling. If you were making a surround recording, would the chamade trumpets on the west end get picked up more by the front mics or the (attenuated) surround mics), given that they are pointing directly at the surround mikes? ANd when adjusting such a sample at home how should one adjust it so that the echo for the main organ came from the rear speakers but the trumpets came also from the rear speakers, whereas the sound of the main organ came from the front wpeakers and the echo from the chamades also comes from the front speakers? 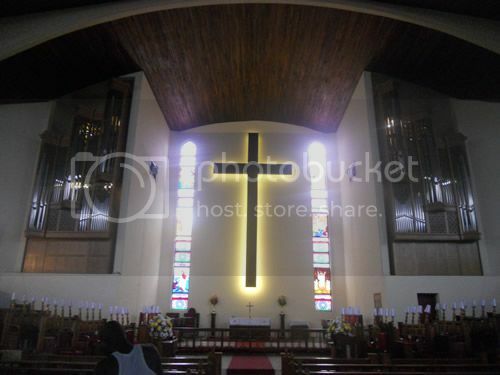 if it doesn't sound brutal, that providing latrines and water pumps to people in nearby slums was more important than spending more money on the church building. Organorak sorry to say brother, but you make it sound like Africa is the only place in the world with poverty crises. I lived in the United States for 9 years and I saw more slums in the US than I have seen in Nigeria. I have also seen more homeless people in the US than I have seen in Nigeria. But that does not stop American from buying nice pipe organs and digital organs and at the same time they do way more charity work than any country on the planet. I don't think that stops Westminister Abey and the other cathedrals you all hold in high esteem from spending millions of pounds on an organ or a church. When you have the time please visit West London Southall and see how immigrants live in squalor right in your back yard. Before you start worrying about our problems in Africa you should take care of yours. Here is an article about how indian immigrants live in London http://www.dailymail.co.uk/news/article ... rants.html you might also want to read this http://www.dailymail.co.uk/news/article ... areas.html . May be you might decide to sell you Hauptwerk organ and donate the money to helping the children living in these slums right in your backyard. 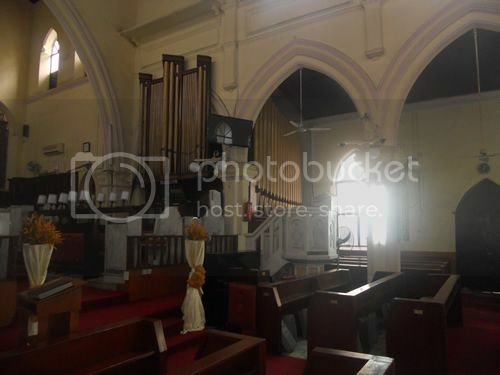 By the way, you keep talking about termites, and how Africa is unsuited for pipe organs, but here in Lagos where I live, we have over 40 pipe organs, many in great condition and guess what, we don't have termite problems. I heard of organs going out of tune but not organ wind chest or bellows getting devoured by termites. You are really funny, I think most of your time in Africa was spent in the poorest sub Saharan deserts or some place away from total civilization. Last edited by jeremalian on Mon Apr 29, 2013 1:20 pm, edited 2 times in total. This seems rather an over-reaction? Please cease with the derogatory comments, please keep on topic otherwise we will need to close/delete this thread. Thanks for stepping in Brett, sorry things went off on a wild tangent. 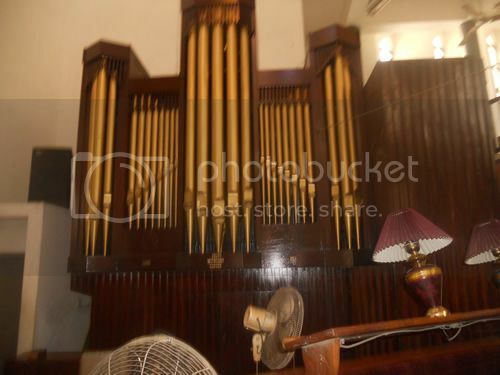 Its too bad I don't live in your part of the world otherwise I would love to help you sample the organ. It has a lot of very nice useful voices for my type of playing. I hope you will be able to find people that can help you record the samples. 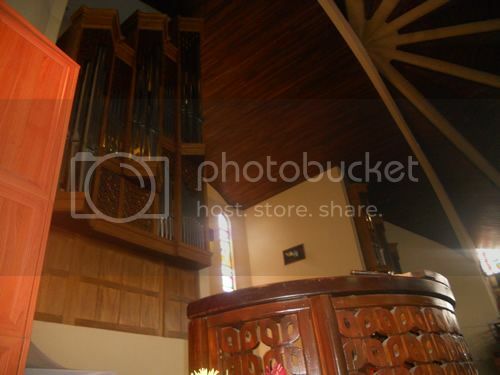 Maybe there are some young aspiring organists in your congregation that would be interested in helping you. Or perhaps if you have not already done it announce in the church bulletin that you would like to find some help. You may find some teenagers that would be interested in helping you and who knows maybe that could lead to sampling more organs. Haven't heard anything on this thread in some time-I hope Jeremalian didn't get scared off by some of the responses. If the organ is good enough to be in a cathedral, it should be worth sampling. The stoplist certainly looks interesting. 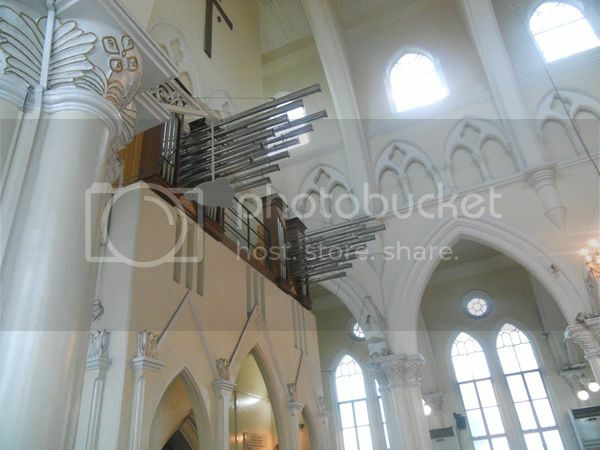 Incidentally, Pipeloops is also working on a sample set of an Oberlinger organ.